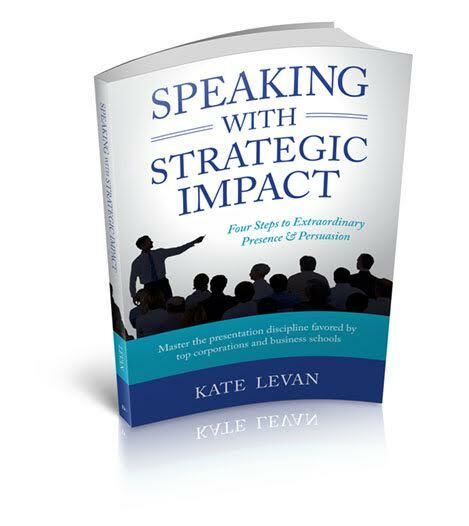 Read all about it in Kate LeVan’s book, Speaking with Strategic Impact: Four Steps to Extraordinary Presence & Persuasion. It’s a how-to manual for real business people on the executive track. ** We will not share your information with any third party. © LeVan Partners, LLC. All rights reserved.